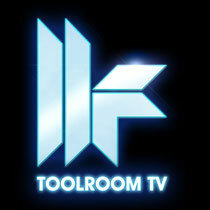 Following on from our news last week, with trailer video, Toolroom TV successfully launched yesterday and is already proving to be pretty damn good. Documenting all things Toolroom and bringing to the small screen the international world of house music, the first episode gives a behind the scenes look at Toolroom Knights parties at Brixton Academy, Space Ibiza and the world's leading electronic music conference - the Amsterdam Dance Event. Including upfront film from label head-honcho Mark Knight, there are also exclusive interviews from DJ/producers such as D.Ramirez, Funkagenda, Michael Woods and UMEK, plus footage of Mark Knight performing live with Dino on their track, ‘Beautiful World’. There’s also footage of vocalist Skin on the label’s forthcoming track, ‘Nothing Matters’, at the Brixton Academy! The episode includes a backing soundtrack of unheard Toolroom cuts and classic house anthems and should prove to be a great resource for millions of dance music fans around the world. Check out the first episode below.